Today’s blog is full of mixed emotions. You see, it’s April 1st. This is the start of all things spring-y. Where I live in Cleveland, Ohio, we have this tree blooming thing. It’s actually hard to describe, but at one point in the year, every tree on every street is completely covered in flowers. I’m talking pollen that is so thick you can’t breathe and beauty so profound it’s difficult to be a safe driver. I know this because I saw it LAST spring. I’m not actually sure when I saw it but it was there for sure. I wish I’d paid attention to the timing of flowery beauty because maybe it would give me a goal. Do I sound grumpy? I apologize. It’s because I am, actually grumpy. Yesterday morning I went to let the dog out and realized we had about 3 inches of snow and it was coming down hard. Excuse me? The dog refused to leave the house. I don’t blame him. This brings me to Jen and Kyle. I’m currently going through my positive associations with winter. 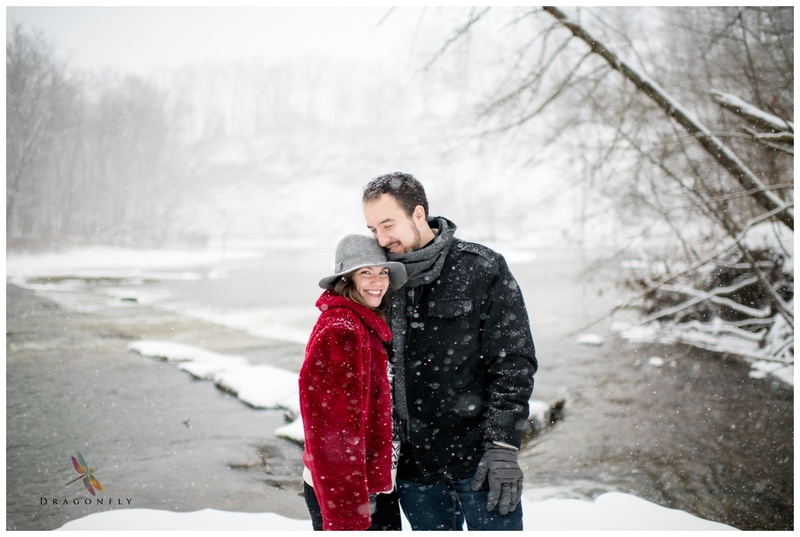 Cozy stews, and cider, Christmas, Hanukkah, bundling and beautiful white fluffiness, and Jen and Kyle. First of all, these people are the kind of people that spending time with is a highlight of your week. They both serve in education, they both love each other in that deep-I-love-the-way-he-looks-at-her kinda way, they’re intelligent, kind, just all around nice people…people. 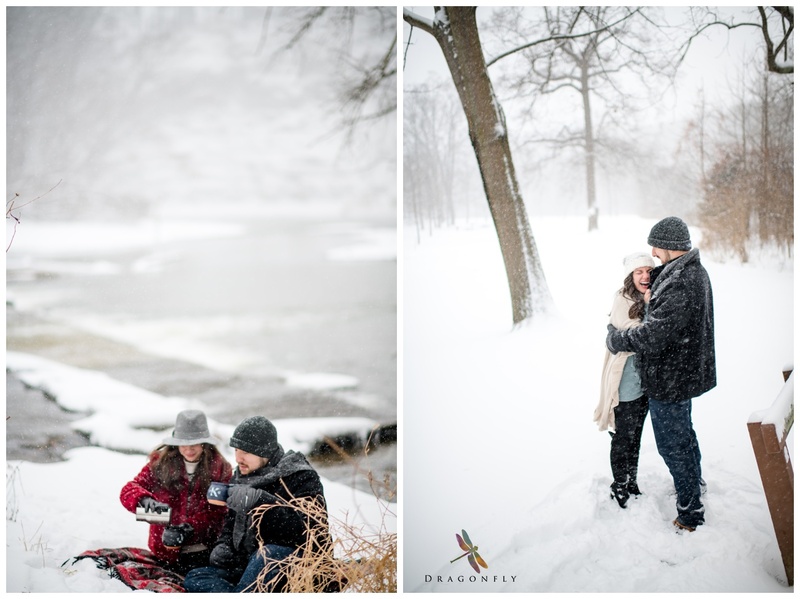 When I was chatting with Jen about what the perfect engagement session would look like for them, we kept coming back to a snowy picnic. 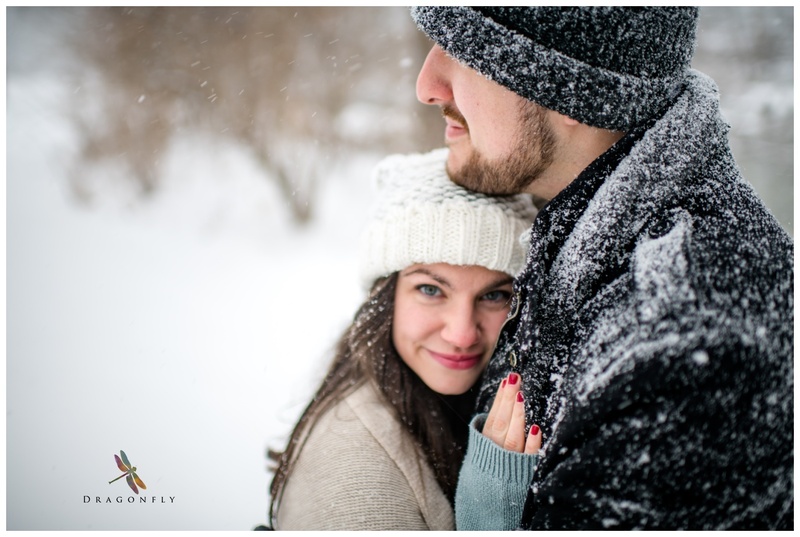 When I plan engagement sessions with my couples, we always talk about what is unique to them as a couple? 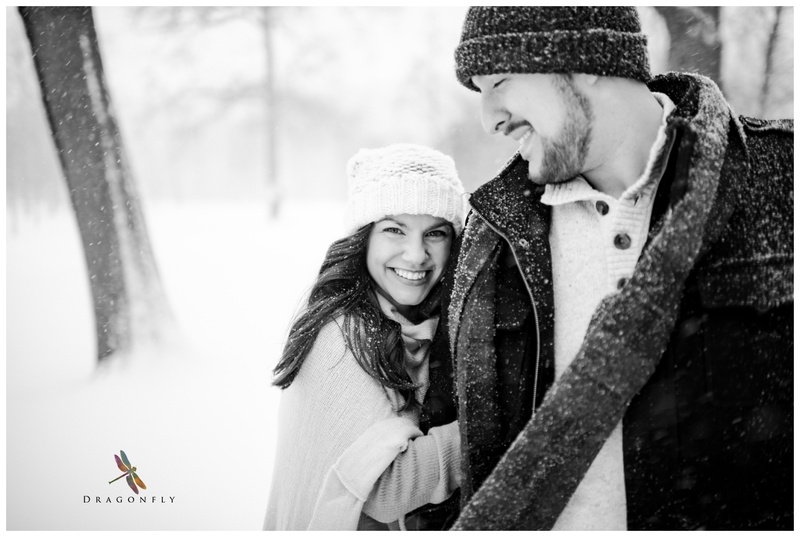 I love to incorporate something of who they are into the photo session. The reality is that we can create a great portrait in an alley somewhere, all you really need is good light (or a good lighting set up) for that. 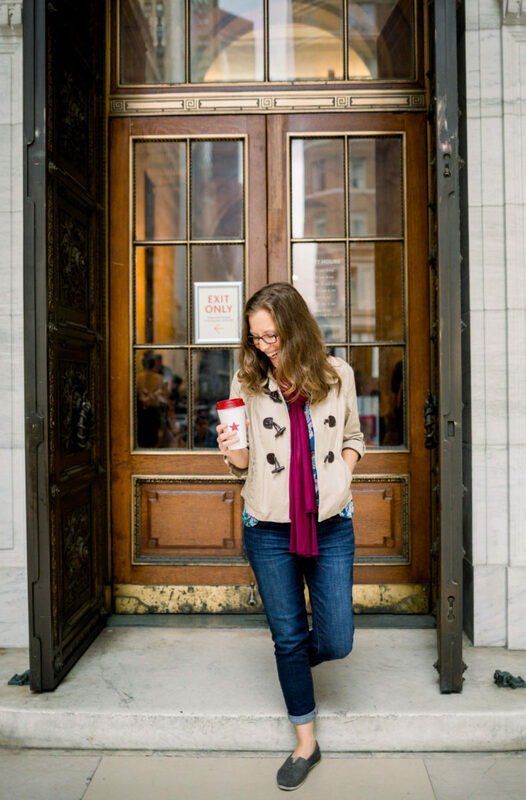 Great portraits can happen anywhere. 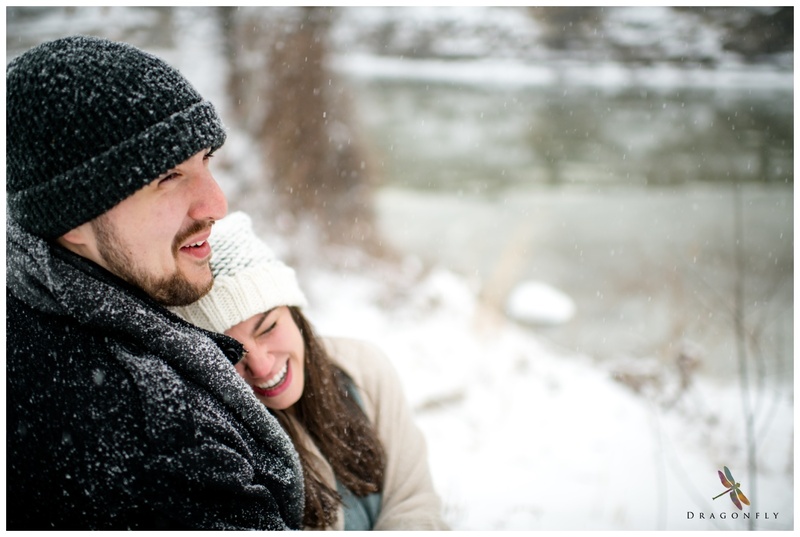 But I feel like engagement images are the first piece of sharing your love story in a very thematic way. 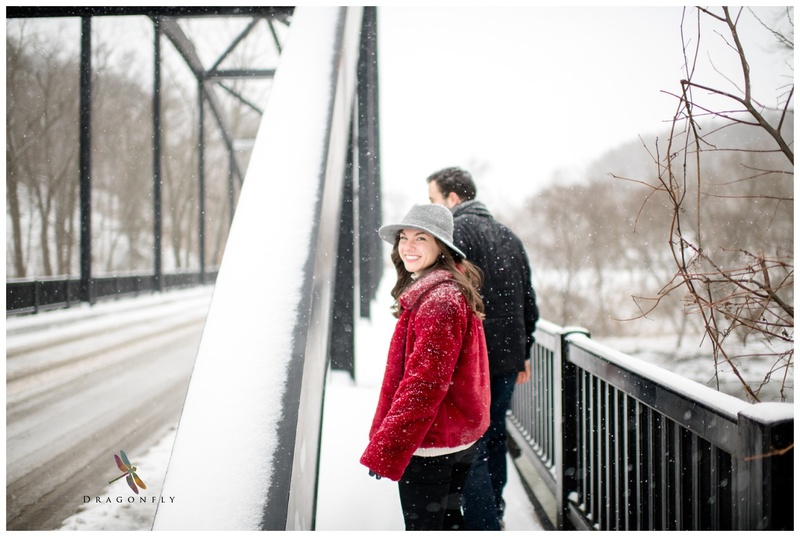 We’re sharing who you are as a couple so its important to me to connect the portraits to things or places that remind YOU of your love story. For Jen and Kyle, that was the outdoors. They love the Cleveland Metro Park system and spend loads of time walking, hiking, exploring together. It just made sense. We planned for hot chocolate to keep them warm, we planned for cozy blankets and favorite spots. What we did not plan for was Winter Storm Harper. If I have learned one thing from living in south Florida, it’s that if they name the storm, you ought to pay attention. You may remember, wherever you are in the United States, at some point this winter you were hearing about crazy low temps and insane storms. Ya, that was us, hanging out with Harper. Taking engagement photos during THAT. Important things I’ve learned. Kyle loves Jen in deeply committed ways. The three of us trauma-bonded over almost freezing to death. Jen was more concerned about whether Kyle and I were ok than herself basically the entire time. Kyle didn’t roll his eyes once. We laughed until we couldn’t breathe. And we truly, deeply appreciated our warm homes when we were done creating magic with our friend, Harper. 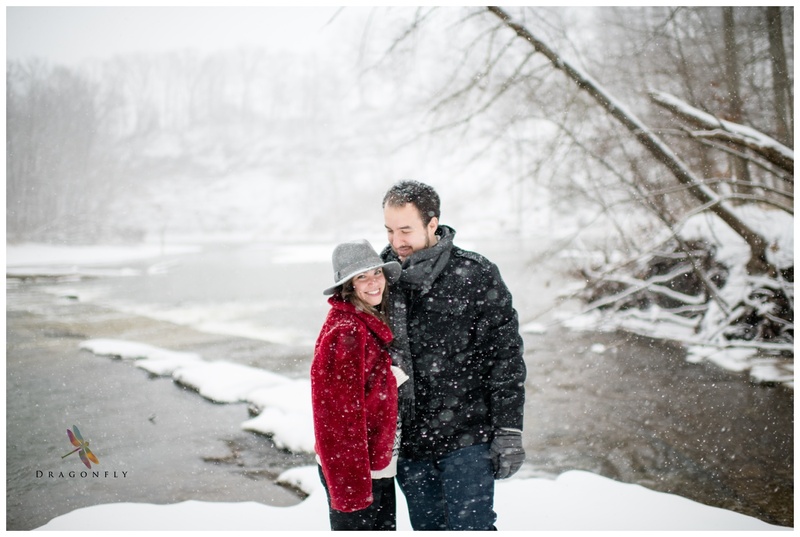 So in HONOR of spring being JUST around the corner, I’d like to share my dear friends, Jen and Kyle with you. And happily tell you that the next time you see them it will be after their beautiful late spring wedding. Jen and Kyle – here’s to great adventures. I’m grateful to know you both. Everyone else, enjoy.